As technology enables teams to be distributed around the world (like ours), communication is becoming increasingly critical. We use Slack to communicate between team members, but, more importantly, to be aware of what our team is doing. 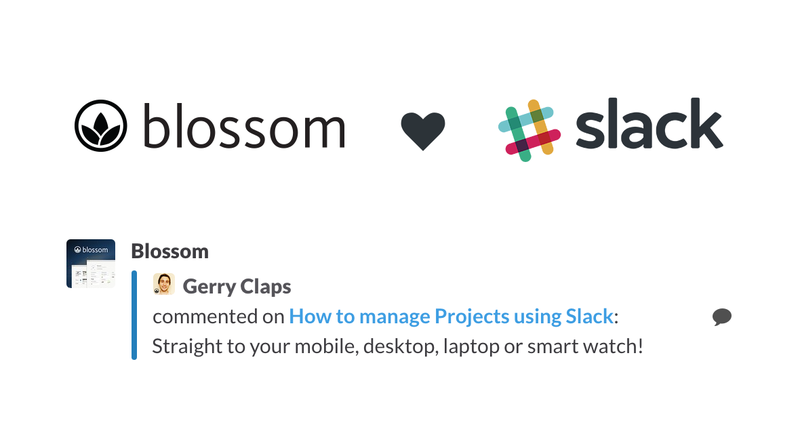 We’ve connected Slack to our agile project management tool, Blossom, and this is how we work. We don’t have to keep our agile project management tool open all day. It doesn’t have to be pinned in our browser. And it doesn’t have to be refreshed every 15 minutes. When something happens, a message shoots through to Slack – blockers, new comments, task assignments, board updates and more. It’ll go straight to our mobile, desktop, laptop or even smart watch. 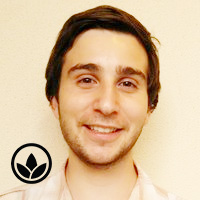 We can then action anything relevant to us. It’s also a neat way to stay informed of what happened throughout the day. This is especially useful when working with team members across timezones. They don’t have to write an email about what they’ve done. And you don’t have to check every card in your project management tool to understand what’s happening in your team. 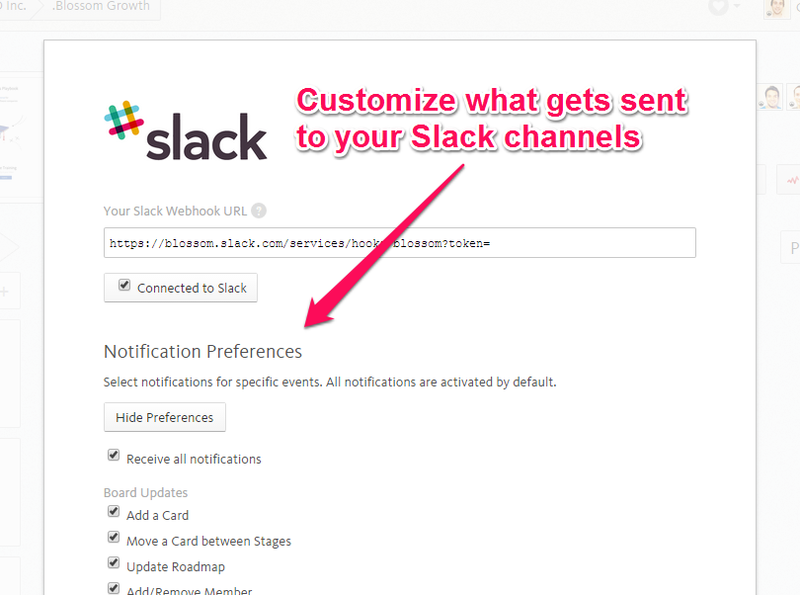 All the information is there for you to access, right in your Slack message history. 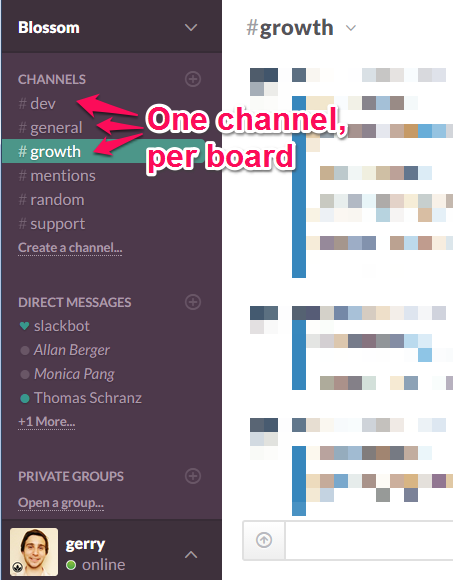 To keep the noise/relevance ratio low, we create a channel for each project board we’re working on. If you’re not working on a particular project, this means that you can still see how the project is going, but in your own time. This minimizes irrelevant information flooding your space and maintains the accessibility of project/organization information. If you’re scared that you’ll be drowning in message notifications, don’t worry. Slack has got you covered. 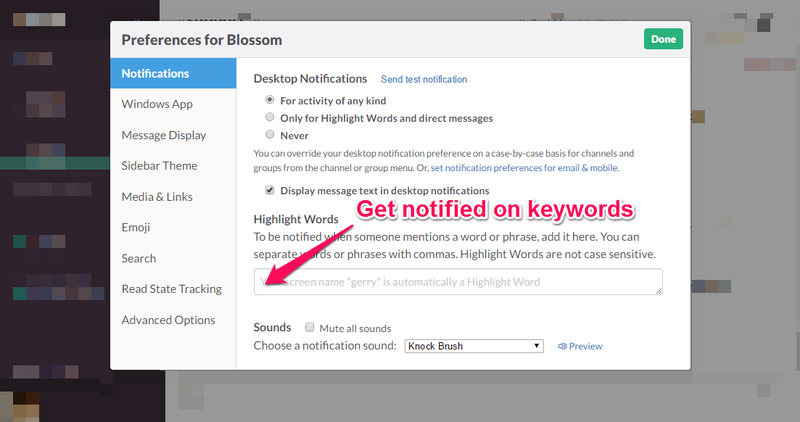 You can get Slack to notify you when specific words are mentioned. Or decide which notifications (and more!) 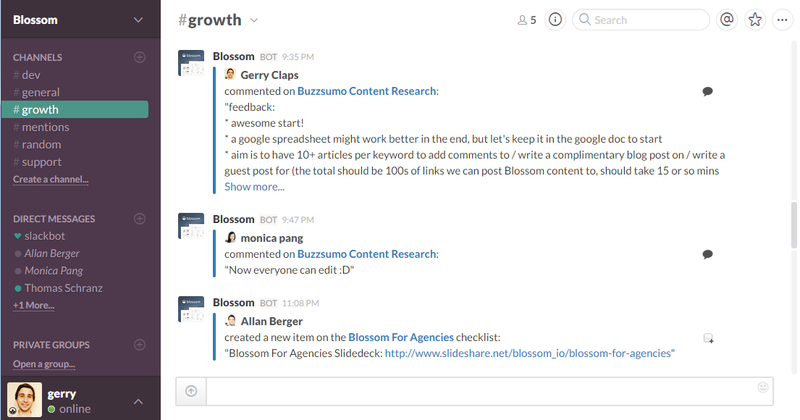 get into Slack to begin with, from within Blossom itself. If you want to start painlessly and easily managing projects, start communicating with Slack. And if you can, integrate it with your current project workflow.